You want to connect with your audience on a personal level, but you don’t want them cringing when they visit your site. And you especially don’t want them running the other way. Let’s face this truth, driving traffic to your blog is a great way to increase your sales and profits while expanding your business. How do you beat out your competition when visitors come to your website? One of the ways is to format your blog posts so they’re easy to navigate and engaging to read. I’ll show you how to write and organize your blog post into the best format possible. The headline is the first thing a reader will glance over when they visit your website. The headline is like the title of a book, and thus should be assigned the H1 header option. What drives you to click on certain headlines? Do they promise to teach you something you want to learn (such as this article)? What problem does the headline promise to solve for your reader? 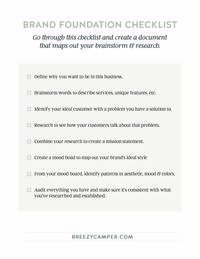 To help you write a compelling headline, you’ll want to ask yourself, “what do I want my customer to learn by reading this article?” If you struggle with writing headlines, try going to Portent’s Title Generator, and Hubspot’s Blog Ideas Generator. If the article you’re writing is a birthday present, then your image is the beautiful wrapping paper. And yes, an image can make or break the success of your blog post. One of the best ways to be recognized online is to decide on an image standard for your business. Make a list of what colors and fonts you regularly use. Will you be taking your own pictures, or will you be purchasing stock photos from a membership site? If you decide to use primarily text (like the image from this post) then branding your images so your business is recognized will be one of the keys to your imaging success. (If you need help with branding, let’s have a chat! You can book a call with me HERE). Your blog post introduction is what drives your clients to read the rest of your article. The introduction doesn’t need to be more than a few sentences but needs to explain what your article is about and what you’ll be solving. A few ideas to help you write the perfect introduction includes beginning with a startling fact relevant to your article, asking your customer a question, or addressing their pain point and how you’ll be providing the answer. The pain points and the solutions are the main body of your blog post and you’ll want to take the time to organize your post by using headers and sub-points, so your article is easy to read and user-friendly. If you think of your blog post as a journey for your ideal customer, you’ll know what questions they have when they land on your site, and you can guide them through the transformation, so they’ll have the answers they need by the end of your post. The more helpful your article proves to be, the longer your reader will stay on your post. After addressing your reader’s pain points and providing solutions to their needs, you don’t want to just leave them at the end of the post. Take a few sentences to wrap up what your client has just read. Some of the best blog posts have great conclusions and summaries to help refresh and engage the reader’s mind. Finally, you’ll want to end your blog post with a call to action. What do you want your reader to do next? Do you want them to sign-up for your mailing list or share this article on social media? Invite them to do just that and you’ll be pleasantly surprised how many of them do. As you focus on the best blog post format by writing a compelling headline, using professional images that represent your brand, engage your reader with a great introduction, solve a problem by addressing pain points and giving quality solutions, concluding your article by reminding your reader what they learned, and ending with a call to action, you’ll be well on your way to having the perfect blog post format. If you find you need help with your branding, schedule a free consult call with me. I’d love to hear from you and help you with your business! 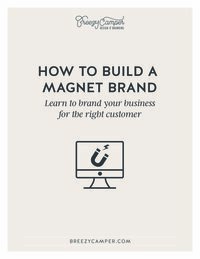 Find out how to attract the right type of clients with your branding.